S 365 x 500px 0.5 Mb. M 730 x 1000px 2 Mb. L 1460 x 2000px 8 Mb. XL 5315 x 7283px 15 Mb. 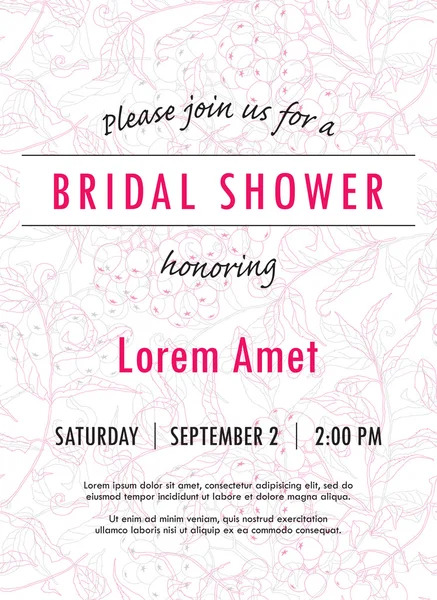 Bridal shower invitation template with rowan twigs and berries vector. You can use it for invitations, flyers, postcards, cards and so on.